Is this the next big leap for organ transplants? For decades an ordinary picnic cooler has been the the best way to transport donated organs. One entrepreneur thinks we can do much better — and save more lives. The Organ Care System is designed to mimic the physiology of the human body. Waleed Hassanein gave up his plan to be a cardiac surgeon and founded TransMedics in 1998. WHEN THE REVELATION CAME, it came in the middle of the night. Waleed Hassanein was a first-year surgical resident at Georgetown University School of Medicine, on the path to becoming a cardiac surgeon. He had worked toward that career for years — in Egypt, in London, and now at a prestigious American hospital. His family, having produced its share of doctors, would proudly add him to the list. On this night in 1994, Hassanein drove with a team from Georgetown University Hospital to a nearby medical center in Northern Virginia. It was a solemn errand. They were recovering a heart from a deceased organ donor to take back and transplant into a waiting recipient at Georgetown. A surgeon removed the donor’s heart, and the team then secured the organ in sterile packaging and laid it on ice inside a red cooler, as was customary. Hassanein, as the junior member of the retrieval team, carried the cooler to the car, which whisked them back to the hospital. In the weeks that followed, Hassanein couldn’t shake the feeling. The field of organ transplantation had made huge leaps in recent decades — from the development of a national waiting list to conditioning immune systems to accept foreign tissue. But the method for transporting these precious organs remained decidedly old-school, akin to how you’d bring day-boat fish in from the docks. As with many innovators before him, Hassanein’s light-bulb moment in the operating room set his curiosity ablaze. Hassanein, about 26 at the time, sought out a Georgetown doctor whose lab focused on organ preservation. He scoured medical journals for previous research. Cardiac surgery, meanwhile, was changing. Surgeons had discovered they could mend faulty hearts without stopping them temporarily through hypothermia. Hassanein asked himself this: If we can keep hearts beating during cardiac surgery, why can’t we do the same with transplantation? Up to this point, Hassanein’s trajectory had seemed clear. Growing up near the airport in a Cairo suburb, he initially wanted to be a pilot. But he was born into a family of physicians. Soon enough, medicine captured his imagination. He went to London for pre-med, and then to Cairo University for three years of medical training before transferring to Georgetown. He became fascinated by thoracic surgery, finding inspiration in Dr. Magdi Yacoub, a renowned Egyptian-born heart and lung specialist who led the transplant unit at Harefield Hospital in London. 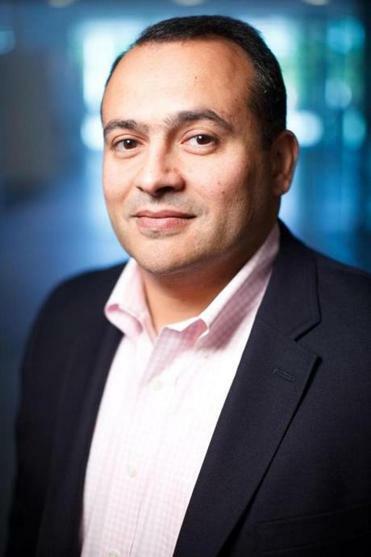 After graduating from Georgetown in 1993, Hassanein remained there for two years of surgical training before accepting a research fellowship at the VA hospital in West Roxbury. The move to Boston accelerated his hunt for a better way to care for transplanted organs, his confidence in that original hunch gathering. In 1998, just as he was about to return to Georgetown to finish general surgical training, he made a radical decision. He would put his clinical career on hold, stay in Boston, and devote himself full time to his daring notion. His family hit the panic button. It was as if he’d called home to say he was giving up medicine to join a heavy metal band. An uncle, a professor at Georgetown’s medical school, made an urgent trip north. One of his younger sisters, Amira, a cardiologist in Egypt, jumped on a plane from Cairo. Her message was blunt. “You’re out of your mind,” she told him, according to Hassanein. “You left your family and friends and way of living to be a cardiac surgeon in the United States. And now you’re leaving all this for this crazy idea of yours?” What could Hassanein say? He knew he was onto something big. IT MADE FOR A VERY STRANGE CALL to the cops: We need aquarium heaters, and we need them now. Things had taken an ominous turn inside the operating room of a Detroit hospital late one night in the mid-1980s. A University of Pittsburgh medical team had flown in to recover a heart and lungs from a patient who had been declared brain dead. They’d brought along a homespun device they called the Box — a deep Lucite container that fit on the seat of a wheelchair. Traditionally, recovered organs are cooled to slow their metabolism — in essence, the organs are turned off, transported on ice, and then turned back on in the recipient’s body. The Box, filled with a saline solution and outfitted with an Ambu bag to manually keep the lungs going, allowed the Pittsburgh team to transport active organs as if they were still inside a person’s chest. They used basic aquarium heaters to keep the solution warm. The idea of preserving organs ex vivo, or outside the body, in a functioning state had been percolating since the early 20th century. Less than 20 years after Dr. Christiaan Barnard of South Africa performed the first human heart transplant in 1967, the Pittsburgh team of Drs. Bartley Griffith and Robert Hardesty was pushing creative experimentation to new bounds. On this night in Detroit, with Hardesty focused on removing the donor’s heart and lungs, an assistant working alongside him made a serious miscalculation, firing up the heaters on their device before dumping in the cool saline solution. The collision of hot and cold fried the heaters. In a flash, the Box was useless. Hardesty needed to improvise — and fast. Griffith had already begun surgery on the recipient in Pittsburgh, unaware of the malfunction on the other end. (In cases where significant distance separated donor and recipient, Griffith, to make the timing work, often had to begin surgery to remove the recipient’s existing organs before the recovery team returned with new ones.) Hardesty and his team called the local police to ask for help getting hold of a pet store. The police found one and then tracked down its proprietor, who, upon being woken up, unlocked the store and fetched new heaters. The heaters were rushed to the hospital, Hardesty coolly continued with the operation, and the team flew back to Pittsburgh with the heart and lungs safely ensconced in the Box. Griffith promptly stitched them into the waiting patient. “As crude as that was — and in many ways as lamebrained as we were — those organs, protected that way, worked better or as well as any organs that we’ve ever removed and treated with any system, drug, or procedure,” Griffith says. The promise of keeping hearts and lungs warm and working was apparent at the time. “We are becoming increasingly confident and dependent on this method to provide well-preserved and needed organs from donors,” Griffith and Hardesty wrote in a 1987 paper for The Annals of Thoracic Surgery. Despite the potential shown in Pittsburgh, though, putting organs on ice remained the standard of care in transplantation. In cases of healthy organs and short distances, that system works fine. But it has its limits. Cooling an organ on ice doesn’t stop its decay, only slows it. Donated hearts, for example, generally last up to four to six hours outside the body when packed on ice. A patient awaiting a new heart in Boston won’t get one from Los Angeles, no matter how good the match. Even Minneapolis is a stretch. For 30 years, a nonprofit called the United Network for Organ Sharing has managed transplantation in the United States. It maintains a computer network that links together the hospitals of organ donors, the hospitals treating recipients, and local organ procurement organizations; 58 such organizations oversee transplants around the country. New England Organ Bank, based in Waltham, coordinates transplants in Boston and the region, connecting donors and recipients based on a range of criteria, from blood type and location to the donor’s age, organ size, and severity of a recipient’s condition. The computer system, after taking everything into account, ranks candidates for a particular organ as soon as it becomes available. As of mid-July, nearly 79,000 patients nationwide remained on an active waiting list for new organs. Each day, 79 people, on average, receive an organ transplant. Last year in Massachusetts, doctors performed 752 transplants; more than half involved kidneys, followed in frequency by livers, hearts, and then lungs. Organ failure may not, relatively speaking, affect huge numbers of people. But for those whom it does, a transplant may be the only way forward. On average, 18 people in the United States die every day waiting for an organ. With young, healthy donors harder to come by, expanding the pool of viable organs has never been more critical. And this is where the limitations of the ice-and-cooler method start to really matter — limitations Waleed Hassanein set out to erase when he first ventured into the woodworking shop to give shape to his dream. TO MAKE ANY EARLY PROTOTYPE, Hassanein sought out the father of his girlfriend — now his wife — who maintained a wood shop in Pelham, New Hampshire. “Spike,” Hassanein told him one day, “I want to do this.” So they bought some plywood and aluminum piping at the hardware store and got building, beginning work on a device that Hassanein believed would one day cradle a beating heart. Nearing the end of his three years in Boston, Hassanein’s conviction that he was onto something had only grown. His research was drawing notice in the medical community. He was encouraged by the reception he received at a May 1998 conference in Boston, where he spoke in front of top heart and lung surgeons, including Magdi Yacoub, the London-area doctor he had long admired. When he pitched his idea to medical device companies, though, the response was dispiriting. Great idea, they told him. But it will take too much time and money to develop. The reaction gave him pause. So did the prospect of missing an opportunity. “I’m going to give myself a chance to try to do this on my own,” he told himself. Setting aside the skepticism of relatives and the medical device makers, he founded a company he called TransMedics in August 1998. For two years, it was tough going. He got so many nos from venture capital firms that he began to question what he was doing. Plus, he was tempted by offers from two major Boston hospitals to return to the operating room. Finally, in the summer of 2000, TransMedics raised its first round of major capital. The company’s work began in earnest. TransMedics settled on a plan early on to become a four-organ company, aiming to build portable organ preservation devices to care for hearts, lungs, livers, and kidneys — each of them maintained at warm temperatures and functioning as if inside the body. “We used to call it the rugged womb,” says Rick Blanchard, who led an outside design team in the early years. By August 2001, Hassanein was expressing hope that his company’s kidney device could win approval from the US Food and Drug Administration by the following year. The very next month, the 9/11 terrorist attacks crippled the US economy. Investment capital dried up. It took TransMedics more than two years to land new funding. Forget going to market — they were just trying to keep the lights on. Along the way, they realized they couldn’t do all four organs at once. They decided to focus on hearts first, figuring that if they could solve that, they could probably solve the others. TransMedics was just about to go public in 2008 when the mortgage crisis and recession hit. Once again, it became a question of survival. “You really look into the abyss — twice,” says Hassanein, a stocky 46-year-old with an easy manner. “The only way we made it is our utter and complete confidence that this is something that will be transformative in nature.” Parag Shah, senior managing director at Hercules, a venture capital firm that has invested approximately $10 million in TransMedics since 2008, says some investors questioned whether the market would be big enough for the company to find success. Its backers believed there was a market and that it would only grow. TransMedics, with about 70 employees today, has raised roughly $200 million in funding to date. The fruit of its labor is the Organ Care System, an intricate device on wheels that mimics the physiology of the body. 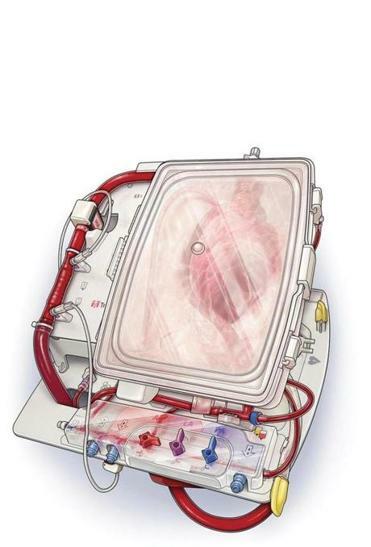 When a heart is removed from a donor, it’s placed in a small clear plastic module, connected to a series of tubes, and perfused with oxygenated blood from the donor, along with nutrients and hormones delivered through a proprietary solution. The heart continues to beat as if in the chest, like something out of science fiction. (TransMedics says its technology at least doubles the time a heart can remain outside the body, to about 12 hours.) The module fits inside a waist-high cart bearing a diagnostic system for assessing how well the organ is functioning. The whole device, which the company assembles at its Andover headquarters, is easily transportable inside a van, SUV, or plane. 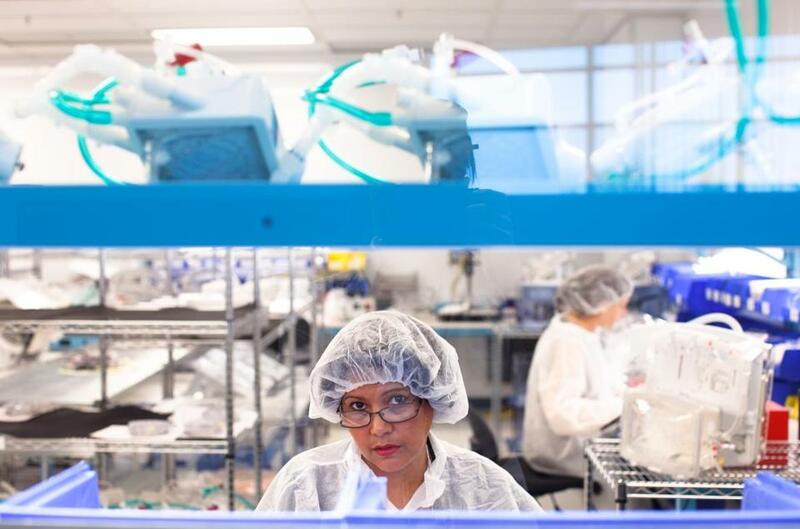 At TransMedics’ Andover office, Luz German assembles devices for transporting and preserving hearts; the company hopes to market the system in the United States in 2015. Following years of clinical trials, TransMedics filed an application with the FDA last December to market its Organ Care System for hearts in the United States. Hassanein expects to win approval by the middle of 2015. The lung device is not far behind; the pivotal clinical trial was nearly complete as of July. Hassanein says the company intends to file its lung device application with the FDA this fall and hopes for approval by the end of 2015. TransMedics plans to begin a clinical trial for its liver device late this year, followed by an expected kidney device trial next year. (Liver and kidney transplants are by far the most common.) If all goes well, within a few years TransMedics could reach its goal of having the Organ Care System commercially available in the United States for all four organs. Hassanein contends that it will be and believes medical institutions and payers will see it that way. A successful transplant, he says, is the most cost-effective way of treating patients with end-stage organ failure. Otherwise costs can be astronomical — weeks in intensive-care units, surgeries to implant devices to keep bad hearts functioning, and so forth. Each additional organ that TransMedics makes viable for transplant, Hassanein says, adds $600,000 to $1.1 million in value: spending less on health care and giving the recipient healthy, productive years. US regulators, as they weigh the TransMedics technology, presumably will look abroad for guidance. The company’s heart and lung platforms have become commercially available in Europe, Australia, and Canada within the past several years. Altogether, doctors have now used the Organ Care System for more than 400 heart and lung transplants worldwide — and with good outcomes. The devices are transforming transplantation, even if uncertainty remains about who’s willing to pay for them. A FEW MONTHS AGO, Dr. Andre Simon was performing a heart transplant at Harefield Hospital in London, where he directs the transplant program. It was a complex case. The patient had undergone a lot of previous surgeries and had a ventricular assist device helping a failing heart. After removing the organ, three hours into surgery, Simon did something he’d never done. He took a break. “I said, ‘Guys, I’m going to have a cup of coffee now,’ ” he says. Right there in the coffee room was the donor’s heart, warm and beating away inside the Organ Care System. The intense time pressure Simon and his team would otherwise face — especially given this patient’s complications — just wasn’t there. With the cooler, he says, it can be a race to finish transplant operations. Moving quickly has its risks. In this case, after the coffee, Simon calmly returned to the operating table and put the new heart in. The eight-hour surgery went well. Harefield now uses the Organ Care System for the vast majority of heart transplants and about a quarter of lung transplants. In fact, the device has revitalized the hospital’s transplant program, Simon says. Some of his colleagues no longer want to perform transplants without it. “A stunning success story,” says Simon, who worked with TransMedics in the past to refine its lung platform. Getting the National Health Service to pay for the devices, however, remains a challenge. With its doctors believing so strongly in the technology, Harefield has covered the cost of TransMedics products without being reimbursed, Simon says. He’s hoping repeated success stories will pressure British health authorities to see the Organ Care System’s value. That value may yet be coming into view. The system’s greatest promise lies not in merely extending the life of donated organs but in expanding the pool of organs that can be recovered in the first place. Roughly 40 percent of potentially viable hearts and 20 percent of lungs are used for transplant, Hassanein says. That’s largely because the current method of preservation offers a limited ability to assess an organ’s function. If doctors are not confident a heart will work in a recipient, most of the time they won’t remove it from the donor. With the Organ Care System, Harefield surgeons, in addition to fetching organs from farther away, can now accept organs that would have been deemed too risky, because they simply know a lot more about them. The enhanced testing also allows doctors to weed out unsuitable organs that might have survived less intensive scrutiny before. That’s been the experience, too, at Hannover Medical School in Germany, where surgeons used the Organ Care System in about 30 percent of its 135 lung transplants last year, says Dr. Axel Haverich, a professor of surgery who also helped TransMedics develop its lung device. “We can now use lungs that are not typically transplanted,” he says. “And the reason why we can safely do it is we can assess the function of the lung immediately before we put it into the recipient.” Haverich says he would love to use the device for all transplants but that it is expensive, and the budget doesn’t allow for it. The number of suitable organ donors — typically reasonably healthy people, with a brain injury, kept alive by a ventilator — is already too small to meet the need. Chris Curran, director of organ operations and surgical recovery for New England Organ Bank, says only about 1 percent of patients who die in hospitals do so in a manner that allows their organs to be used. Transplant specialists say that group is shrinking, at least in part because of trends we welcome, such as safer cars, more widespread use of bike helmets, and advances in neurosurgery. The “quantum leap” this kind of technology may allow, says Dr. Francis Delmonico, the medical director of New England Organ Bank, is that surgeons could not only assess organs prior to transplant but also repair them. He offers the example of a fatty liver, which can occur in a patient with inadequate nutrition. A fatty liver is not suitable for transplant, Delmonico says. But if doctors could remove that liver from a donor and then provide it oxygen and nutrients, the fat would go away and it might be perfectly viable. “We could transplant a lot more livers,” says Delmonico, a professor of surgery at Harvard Medical School. Each year, more than 1,400 people nationwide die waiting for a liver. “I’m just so thrilled we’re into this,” Delmonico says. Arthur Caplan, a medical ethicist at New York University School of Medicine who has studied transplants for 30 years, says the TransMedics technology brings the promise of a more effective and efficient transplant system. He cautions, though, that if it does put “marginal” organs into play, the medical community must guard against failures. “We’re going to have to watch it very carefully,” he says. DR. FRANCIS ROBICSEK makes for an unlikely skeptic. The Charlotte, North Carolina, surgeon was one of the pioneers of organ preservation, his work in the late 1950s a precursor to what TransMedics is doing today. He’s just not convinced a device like the Organ Care System is necessary. Many organs, he says, can be preserved just fine without it. “Don’t write an article about a new mousetrap,” he tells me. It didn’t take long, though, for Amy DeStefano or Fernando Padilla to be persuaded of its value. DeStefano, then a social worker from Portsmouth, New Hampshire, suffered from end-stage heart failure before receiving a new heart in December 2011 at Massachusetts General Hospital. She was the first New England patient to undergo a heart transplant using the Organ Care System, as part of the TransMedics clinical trial. “I would have taken the ice and the Igloo, but the technology aspect of it was just brilliant,” she says. “It was like winning the jackpot on many levels.” DeStefano, who turns 43 this month, is pursuing her realtor’s license. Many credit Hassanein for sticking to his sweeping vision. “I’ve been amazed with his tenacity and persistence at times when it hasn’t been easy,” says Bartley Griffith, now a professor of surgery at the University of Maryland School of Medicine. Griffith, a former medical adviser to TransMedics, has since worked with one of its competitors, XVIVO Perfusion, which focuses on improving sub-optimal organs. 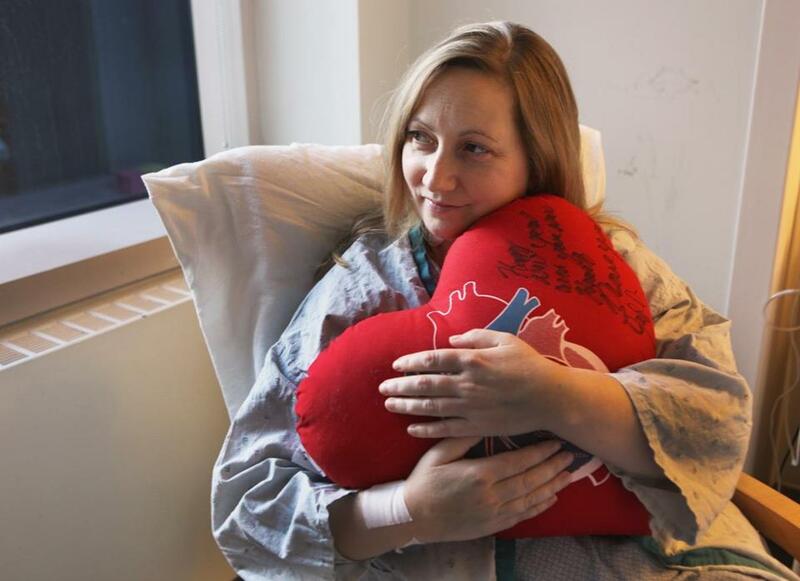 “I would have taken the ice and the Igloo, but the technology aspect of it was just brilliant,” said Amy DeStefano, the first New England patient to receive a heart transplant using the organ care system during the TransMedics clinical trial in 2011. “It’s been a long road,” Hassanein says. “I think we’re just getting started. This is the end of the beginning.” As the company finishes its lung trial, pursues its heart device application with the FDA, and moves into livers and kidneys, TransMedics plans another attempt at going public, perhaps within a year. Hassanein, who lives with his wife and two children, 8 and 10, in North Andover, tries to see his family as much as he can — he’s on the road about half the time. So the man who dreamed of flying as a boy does it quite a bit — but always as a passenger. One day he hopes to fulfill his youthful dream by earning a pilot’s license.